I recall that in the seventh grade, I was required to write a poem in English, for my elocution. A poem about someone whom I envied the most! And, while others wrote about their teachers, parents, friends, or movie stars, I wrote about my hair-dresser. Yes! And it was only then that I understood this simple fact: I came to know about him not by talking to him, but while writing about him. So, thinking to walk-in others’ shoes, and walking in others’ shoes are two different things. How true. The last month, as I arranged for my transfer to my hometown – a professional transfer – my tooth had the better of me. And, since it was my hometown, I was not away from friends. Here, the funny part is you don’t know how big your tooth-related problem is, unless you visit a dentist. As for me, I was paying another casual visit to my friend. Obviously, the visit did not end that “casually”, for I was told to uproot my tooth. While, he just lent me a comforting face (all that he could do), I envied him for his sudden authority over my tooth. One of the most daunting tasks for me was to imagine my tooth being plucked off, uprooted. I almost jump up a bit in the chair as I imagined! And, to my imagination, it was him who had won 1:0 against my sweet little tooth. Envied, I was! I envied him for his profile (you see, no matter how big you are, physically or financially, a simple toothache keeps you from all the glory). The teeth, I learned, are something we should really take care of. Brush twice a day, floss, gargle, and mouthwash whenever you can; and last few things weren’t even on my day’s list. And, soon I would have one lesser than 32. Again, I imagined and envied, how he would feel, to witness the bigwigs struggle in pain before him. That hurt – not the toothache, but the envy, which was more on account of his sheer authority over teeth, and less on account of pain. But now, after a week, I am fully recovered. And, as I look back, I still have that friend. The one, who stood by to understand the cause of the pain; the one who knew that the echo in my voice was not my magic, but the cavity in my tooth; the one who was kind enough to take care of my most painful experience till date – uprooting the tooth; and, the one who is still smiling, only with me this time. Although I lost a tooth in this tooth-dare, I gained another friend I can envy. The only difference being: Deep-down I envy him, because I respect him for what he CAN do; he too might envy me for a reason. Saurabh Nagar, playing the dentist in this tooth-dare, is a professional Dentist, who cares for his impatient patients. He serves at a hospital in the morning, and becomes a subject of more such envies in the evening. This is a work of appreciation, and not a paid advertisement. 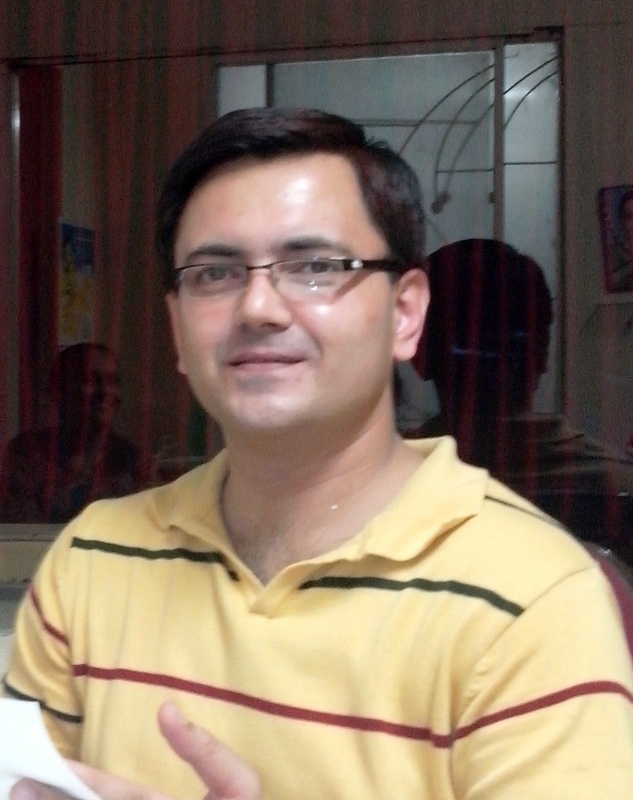 However, for oral treatment/queries reach him directly at docsaurabh28@gmail.com or 98260-82494.